Making a list of moving to Florida pros and cons? Allow professional moving company, Big Boys Moving and Storage, to assist! Since 2005, here at Big Boys Moving and Storage, we have been helping Florida and future Florida residents make the move that is right for them and today we’re going to help you to decide whether Florida is the right destination for you! Trying to assess the moving to Florida pros and cons? 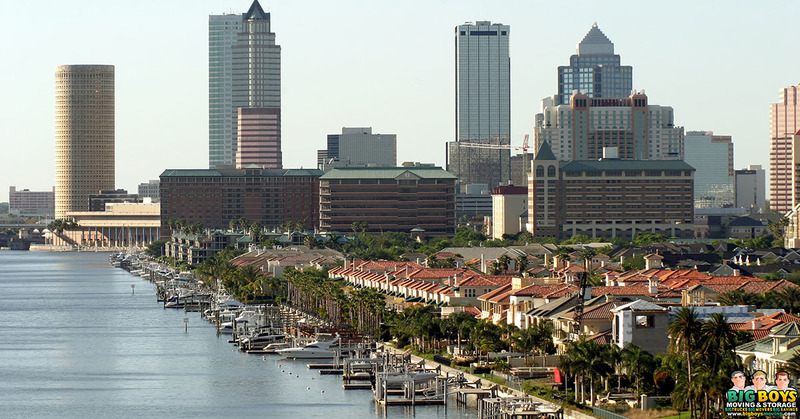 Here are a few from Tampa’s best moving company! One of the biggest reasons that people from all over the world decide to move to Florida is the weather! 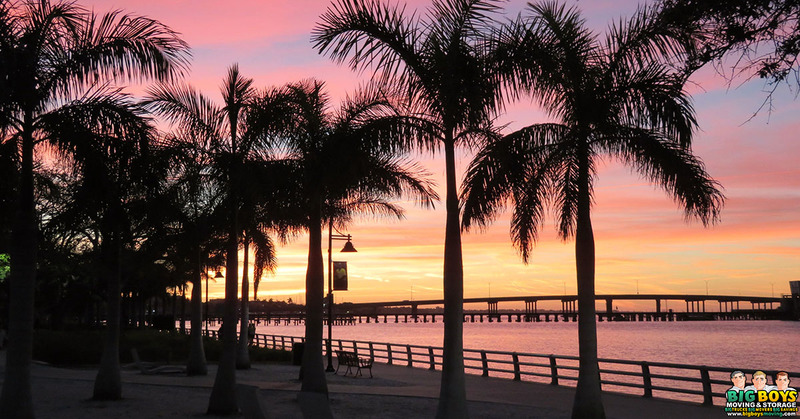 With very mild – almost non-existent – winters most years, Florida is a destination of choice for snowbirds and anyone looking to enjoy the warmth of the sun all year round! The Ocean and the Beaches! If you are a “water baby” or if you enjoy lounging on the golden sands and getting a tan, then Florida is a pretty good destination to keep in mind for your next move! Here on the West Coast of Florida, we are blessed with some of the most incredible (and less commercial) beaches and they’re the perfect solution if you are looking to decompress after a busy week at work. If you’re looking for a little more diversity, Florida is the perfect melting pot to move to! Our state is both ethnically and culturally diverse and we love to celebrate and share that diversity! Whether it’s through local festivals, cultural exhibitions, street fairs, or our delicious ethnic food selections, you’ll find all the diversity you can embrace here in the Sunshine state. Sure, there are other places in the U.S. where you can get a home with a pool, but homes in Florida with a pool are incredibly affordable and you get the weather to enjoy that pool year round as well! Even if you move to an apartment in the sunshine state, you’ll get access to a sparkling blue pool that you can enjoy throughout the year! Do we need to say much more about this drawing factor of Florida? Head down to this beautifully warm state down south and you’ll pay no state income tax! Yes, we know we listed the weather as a pro for moving to Florida but it can also be a con depending on your weather preferences! Although the winters in Florida are pleasant, the summers can be considerably less so if you aren’t a fan of temperatures of 90 degrees plus! We’d like to say that it’s a vicious rumor, but we have to admit that in certain areas of the state the drivers can be a little tough to deal with! If you’re used to living in a fast-paced state then the leisurely pace of some of Florida’s drivers can be a stark adjustment. The good news is that once you settle into the leisurely pace of the state, you won’t be in such a rush to get to where you’re going! Depending on where you move to Florida, you may find that you have a problem with vacationers. For example, if you move to Orlando, you’re going to have to learn to live with the tourists and travelers (particularly around the time of the summer vacation for kids!) Fortunately, there’s a solution to this particular problem – Florida is a BIG state with plenty of non-tourist spots to choose from! We recommend picking somewhere on the west coast, you get the benefits of the beaches, the beautiful weather, and a little less of the tourist traffic! One of the biggest cons for some people when moving to Florida is the fact that gardening in the heat can be difficult. Unfortunately, it’s a necessity! With as much sunshine and warmth as we get in Florida, our grasses are lush and your flower garden will bloom like you’ve never seen before, but it does mean that you’re going to have to endure a little Florida heat while gardening or you’re going to want to pay for a gardener. If you’re not a fan of palm trees then Florida might not be the state for you! We happen to think that our palm trees are a beautiful symbol of the Sunshine State and while they do require some maintenance, we wouldn’t be without them! Considering the pros and cons of moving to the state of Florida, keep in mind what is important for you! Just because your elderly parents enjoy the weather in the Sunshine State, doesn’t mean that you will enjoy the weather too! Instead of moving on the recommendation of others or basing your move on what other people love about the state, consider making your own pros and cons list of what matters to you and spend some time thinking about what each item on the list means to you. Weighed Up Your Moving to Florida Pros and Cons? If you’ve weighed up your moving to Florida pros and cons and decided that it’s time to make a move, Big Boys Moving and Storage are here to help! Just give our professionally licensed movers a call today at 813-936-2699 and don’t forget to ask about our current coupons and specials!